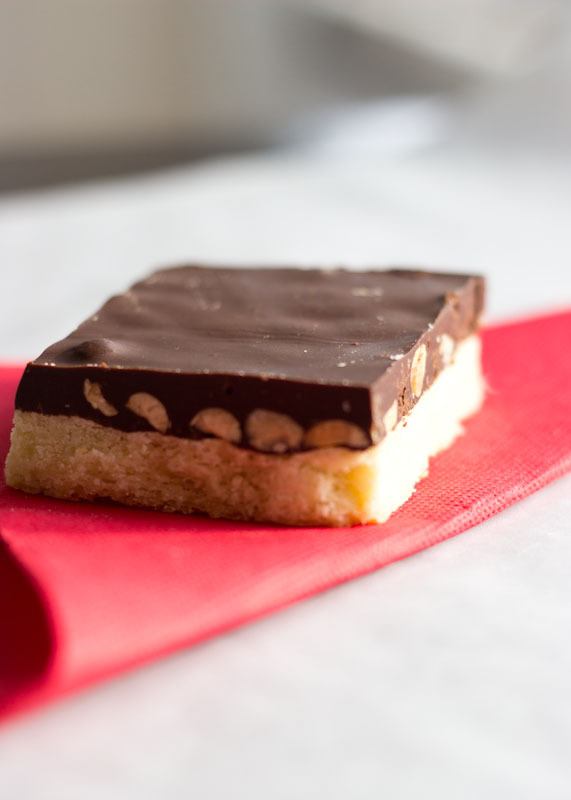 These bars happened, because I needed something quick an easily transportable to bring to work. Besides, after last weeks tangle with this “no fuss” cake, I needed a break. So I made these, and I can describe them with three words: easy, rich and heavy. Which I usually don’t mind, except that I’ve been trying to cut down calories. It obviously didn’t happen here. If you decide to do these, I recommend cutting it in small slices. Be gentle with the quantity, to appreciate the quality! Line the bottom and sides of a 28 ×18 cm. (11×7 inch) pan with aluminum foil and preheat the oven to 180°C (350°C). Beat the butter and the sugar with a mixer until white and fluffy, around 5 minutes. Add the flour and mix thoroughly. Using your hands, or the back of a spoon press the mixture evenly over the bottom of the prepared pan. Bake for 15-20 minutes, or until light golden. Remove from the oven and let it cool for a few minutes in the pan, release from the pan and let it cool completely. In a heatproof bowl place the chocolate and the peanut butter, and set it over a pot of simmering water, stirring occasionally, until the chocolate is melted and the mixture is homogeneous. 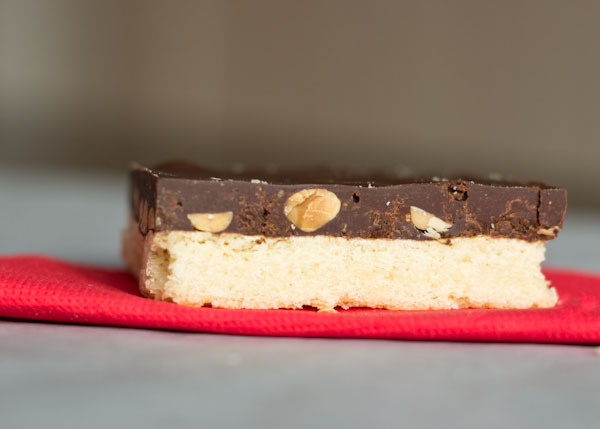 Remove the foil from the shortbread and return it to the baking pan. Pour the chocolate on top of it and let it set at room temperature. 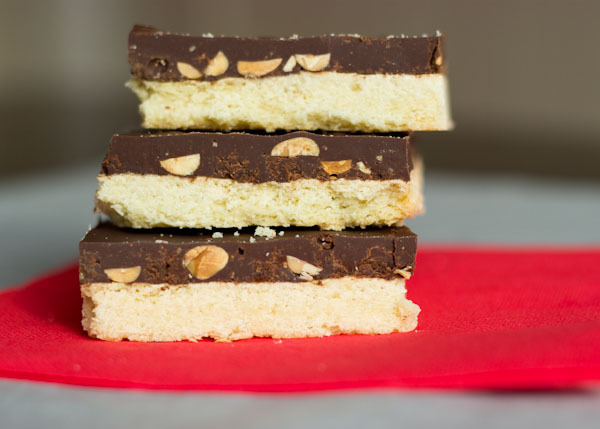 Cut the chocolate shortbread into pieces, as big or small as you wish. Cover and refrigerate, serve at room temperature.